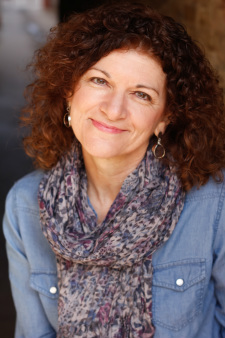 Lynda Shadrake--actor, improviser, and everymom--is thrilled to part of Griffin Theatre's spring show at the Den, For Services Rendered, directed by Robin Witt. Last spring she was in the remount of Letters Home also at The Den Theatre. A Griffin Theatre ensemble member, Lynda has has toured extensively with Griffin's Letters Home and Frindle. She appeared in their critically acclaimed productions of Pocatello (Doris) and Balm in Gilead (Kay), both directed by Jonathan Berry. She made her Redtwist Theatre debut as Marty in Annie Baker's Circle Mirror Transformation directed by Scott Weinstein. With Oak Park Festival Theatre, she portrayed Mrs. Eysnford-Hill in the Jeff-recommended Pygmalion directed by Jason Gerace, and Miss Prism in The Importance of Being Earnest. Lynda was thrilled to have played two different moms in two different web series: The Adventures of Jacketman and seasons one and two of The Dreamers! She played Hunter's mom in the award winning horror feature film, Hunter, directed by David Tarleton (available on Amazon and I-tunes). Lynda is a regular performer with The League of Improv Heroes and The Best Medicine at Open Door Rep in Oak Park. She was also a co-creator and performer in The Spew, the long-running spoof of TV's The View. Recent independent films include Teenage Ghost Punk and Dear Mr. Fidrych And, yes, you did see her in that carpet commercial. Check out some of her work on the Media page.